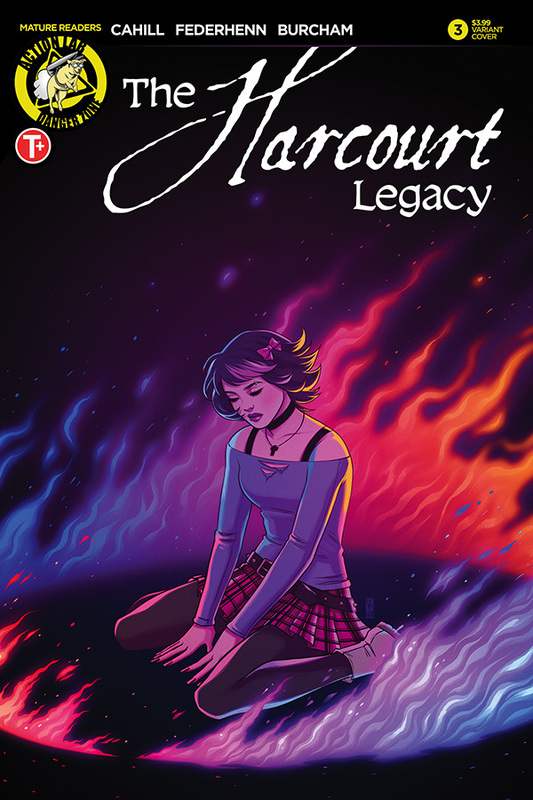 The Harcourt Legacy #3 is in Diamond Previews! Edwina's attempt to control Edward's legacy leaves Violet with a difficult decision to make. But even with the help of some unlikely allies, can she find the strength to do the right thing—or even figure out what the right thing is? The occult family drama wraps up here, so don't miss it!